With the holiday season fast approaching, you may be starting to plan some parties and gatherings with friends and family. Here's how to use Alexa and Amazon Echo products to be a more efficient party planner. There are a number of ways that Amazon Echo products powered by Alexa can be leveraged for planning your next party, whether we're talking about a raging dance party or a more intimate holiday dinner party with plans. It all starts with party planning, and Alexa can help you with stocking up with what you need in two ways. To start, you can create a shopping list and start adding items to it using just your voice. Just ask Alexa to start a shopping list and it will ask you to start listing items. This list will appear in the Alexa app so you can pull it up when you're out at the store. If you live in an area that has Prime Now, you can get last-minute items delivered same day from Whole Foods or other local stores. This is a newer service that Amazon is rolling out first to major metropolitan areas, but it can save you an extra trip back to the store if you forget something in the hours leading up to your guests' arrival. Another thing you'll want to set up before your guests arrive is linking any Echo speakers you have in your home for multi-room music. Alternatively, you can give each room its own atmosphere with a unique playlist if you choose. The value of having Echo speakers in different rooms will also come in handy with the broadcast feature that lets you play a message over all your Echo speakers — perfect for announcing when food is ready! Amazon has been stepping up its speakers with the second generation of Echo Plus offering improved sound on its own, but especially when paired with the Echo Sub which will greatly boost the bass when listening to all your favorite music. It's not a necessary upgrade, but might be worth considering if you're going all-in on the Amazon Echo experience. Fortunately, you've got much more options thanks to the inclusion of 3.5mm line-out and Bluetooth connectivity with all Echo speakers. 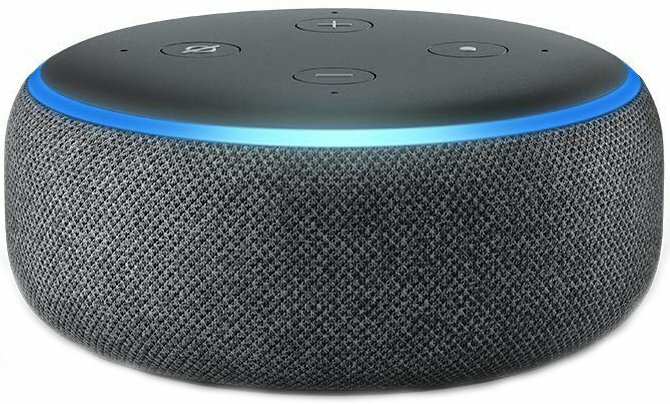 Even if you just have an Echo Dot speaker — which admittedly is the lesser quality speaker of the Echo family — you should be able to connect your hardwired or Bluetooth speakers to your Amazon Echo product and get all the advantages of Alexa with the improved sound of your favorite speakers. Set your Bluetooth speaker to pairing mode. Tap your Amazon Echo device. Tap Pair a New Device. When the list of available devices appears, select the Bluetooth speaker you want to connect and finish the pairing instructions. Amazon supports a growing number of music sources, so whether you use Google Play Music, Spotify, Pandora, or Amazon's own music service, you'll be able to play the perfect music for your party. This is easily the most popular way to use Alexa during a party, as Amazon Echo speakers are perfect for delivering perfect music, whether you want it front and center for a fun dance party or nice and chill in the background during dinner. With Alexa, you're also able to pause, skip, control the volume, or change the music at your discretion using just your voice. No matter which music subscription service you use, you will have access to a ton of incredible libraries of curated playlists for any party, along with the option to create your own playlists as you go. I use Spotify and take advantage of all the user-created playlists, too, because it's a great way to discover new music. If you're hoping to turn your living room into your very own dance floor, you might want to use Alexa to create the ultimate light show in your home. For cool party effects, Philips Hue smart bulbs are the most accessible smart home products you can buy. They plug into the existing light sockets in your home and easily connect to Alexa over Wi-Fi. What makes the Philips Hue bulbs my recommendation is the ease to which you can customize things using the Philips Hue app. Combined with voice control with Alexa and you're able to set the perfect mood for any gathering — and then tell Alexa to turn off the lights at the end of the night. While you can access Alexa on your phone using the Alexa app, you're going to need at least one Amazon Echo product to use Alexa in your home to play some music. Add more Echo products to improve Alexa's coverage throughout your home. The latest generation of Amazon's entry-level speaker is the puck-sized Amazon Echo Dot. You'll appreciate the new fabric finish along with the improved audio quality compared to previous generations. These are priced to be the perfect speaker for extending Alexa and your favorite music throughout your whole home. A well-placed speaker on a second-floor landing can offer outstanding coverage for accessing Alexa anywhere in your home. 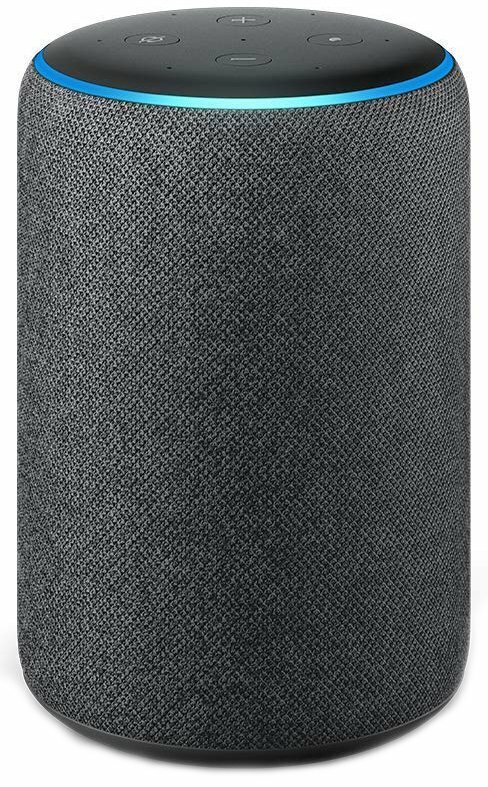 The Amazon Echo is priced between the Echo Dot and Echo Plus for those who want the improved sound quality of the larger speakers but don't necessarily need the cost of the Echo Plus hub. 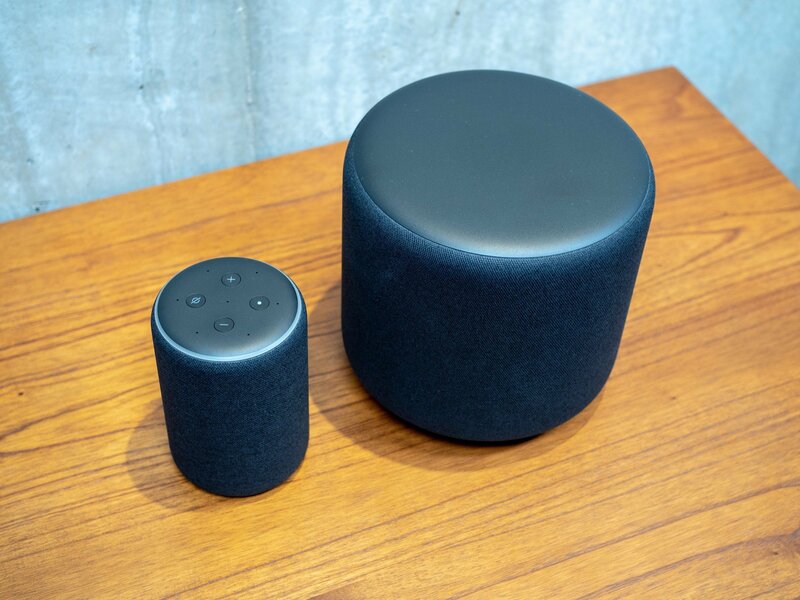 You're better off spending more for the Echo Plus if you intend to connect smart home products now or somewhere down the line, but it's a very capable smart speaker for $100 and can easily fill a larger room filled with noisy guests. The Echo Plus is Amazon's most expensive speaker, featuring the best available drivers in an Echo speaker and a built-in hub. 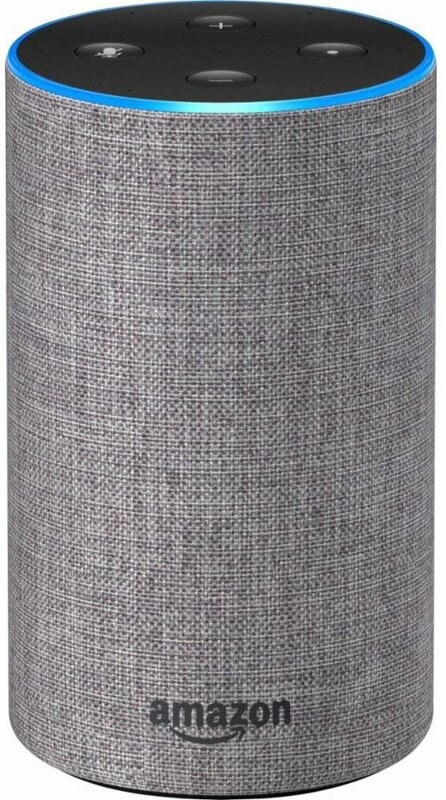 The second generation Echo Plus has been redesigned to be the same size as the standard Echo with that new fabric finish. If you want to invest in cool smart lights or the Ring Doorbell for greeting your guests digitally, you're going to want the Echo Plus to make set up that much easier. If you really want a bumping dance floor at your next house party, might we suggest the Echo Sub. This subwoofer requires a second-generation Echo or Echo Plus speaker and delivers You can even pair two of the same Echo devices for left/right stereo sound. Amazon says the Echo Sub's functionality is limited to music playback over your wireless network, but this should be fine for use in most party situations. These products aren't necessary for throwing a party, but they might help! The Echo Show lets Alexa flex some more functionality with the built-in touch display. 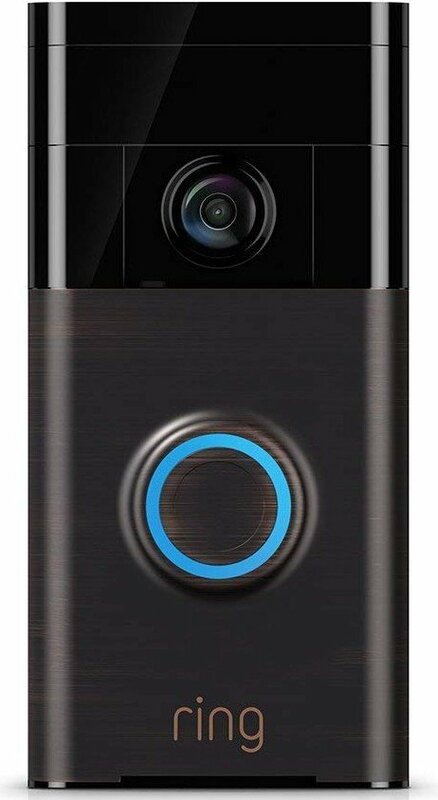 A perfect kitchen companion with the Ring Doorbell for when guests arrive as you're plating appetizers. If you've been looking to upgrade to smart bulbs, this is a great place to start. 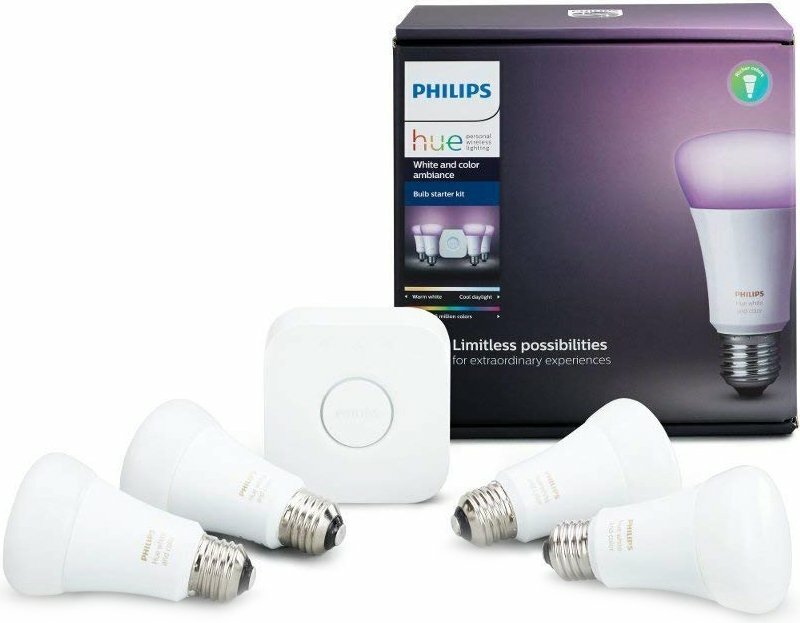 This starter kit includes both white and color bulbs, plus the hub you'll need if you don't have an Echo Plus. A quick smart home upgrade that lets you greet your guests through your Echo Show or phone. 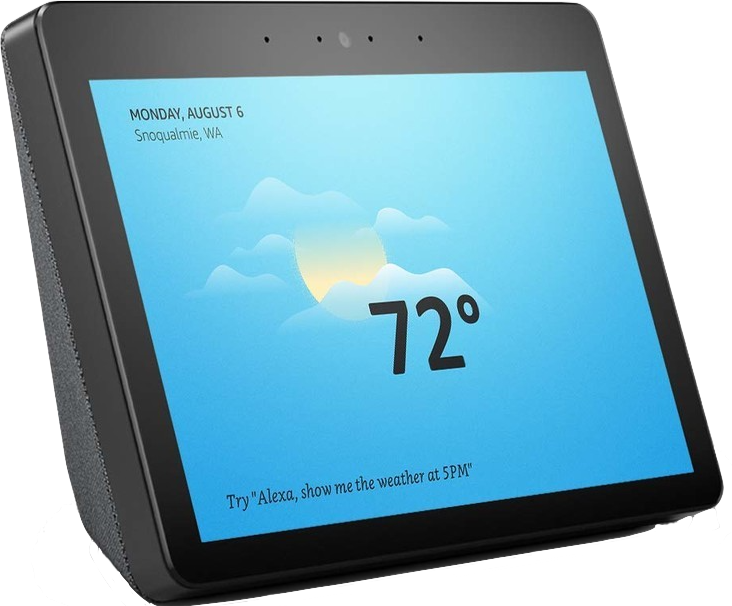 Works well with Alexa products, in particular the Echo Show.